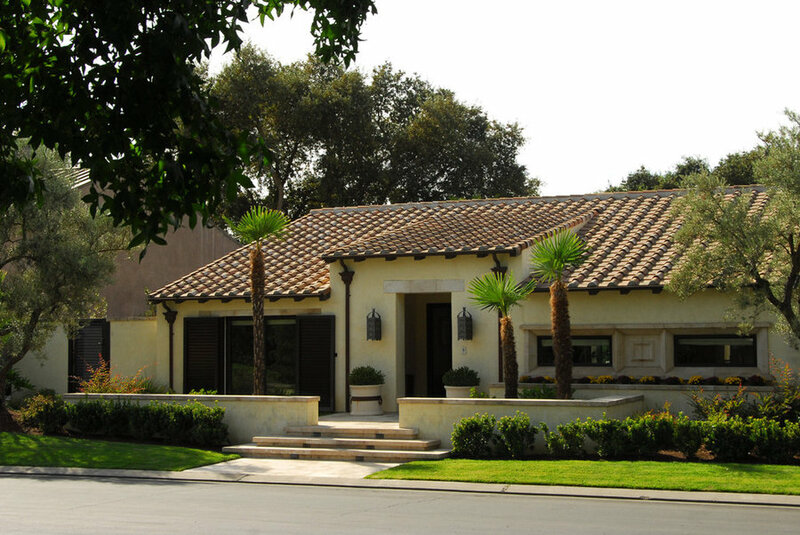 This was a major renovation which included both the house and the landscape ultimately transforming the home into a Spanish Mediterranean style. 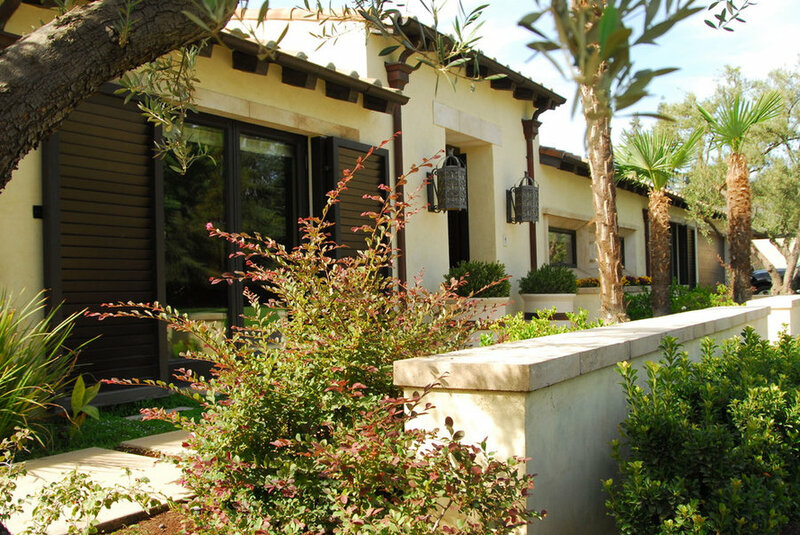 Low plastered walls, olive trees, palms and a mixture of Mediterranean plantings help further strengthen the theme of this home. 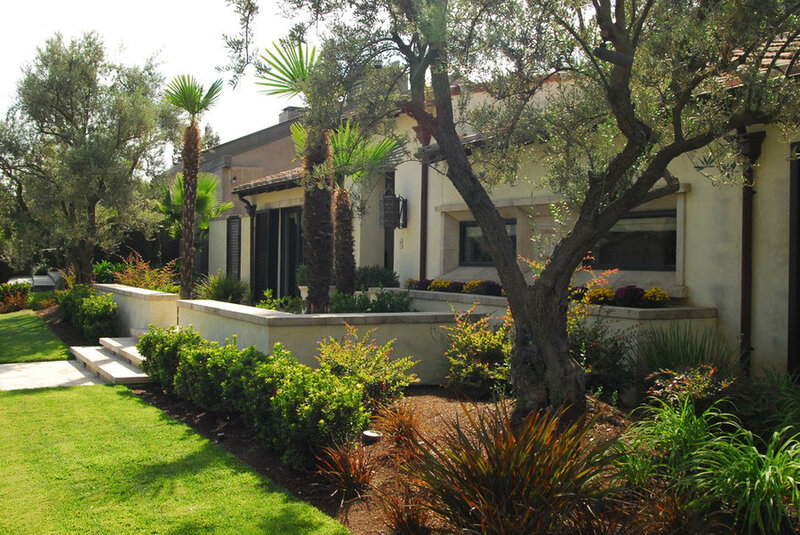 This was a major renovation which included both the house and the landscape ultimately transforming the home into a sSanish Mediterranean style. Low plastered walls, olive trees, palms and a mixture of Mediterranean plantings help further strengthen the theme of this home. 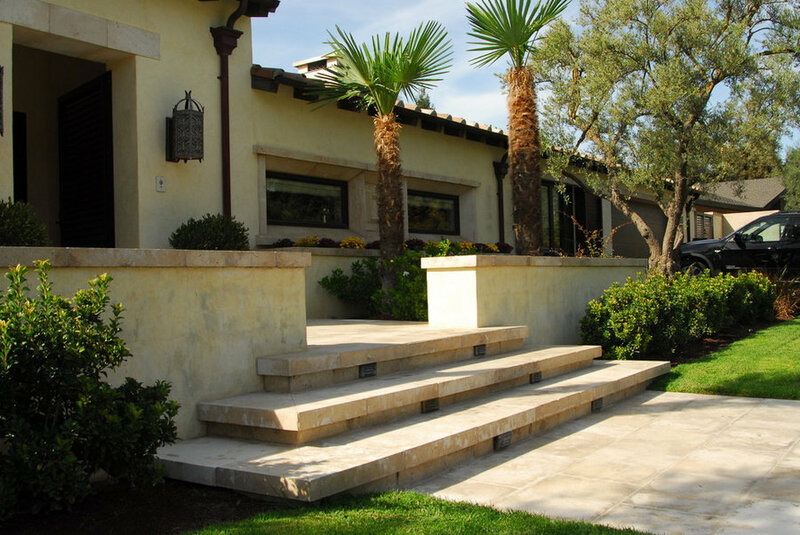 The travertine entry steps are flanked with Windmill Palms leading to the front door. 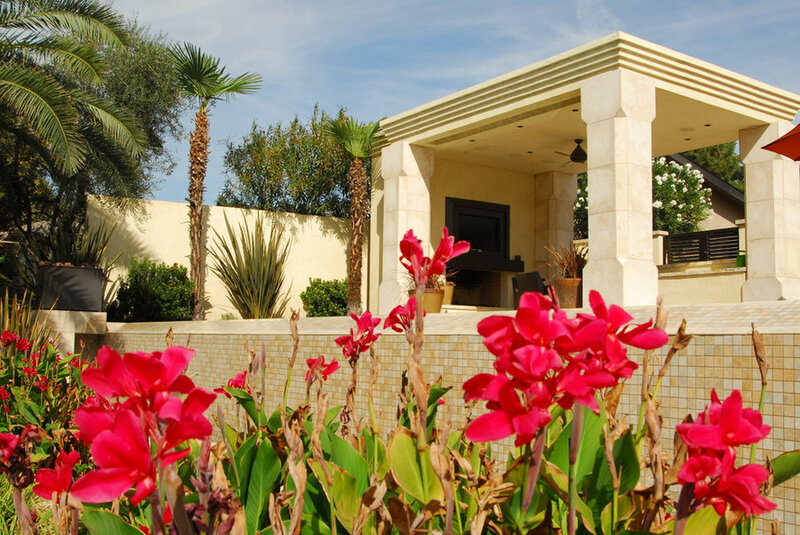 Clean simple plantings complement the home. A mixture of leaf textures and colors tie into the red tiles on the roof, the creamy plaster, and the travertine paving. At the rear of the property, an infinity edge lap pool forms the edge of the top terrace. The site overlooks the bluff and golf course below. 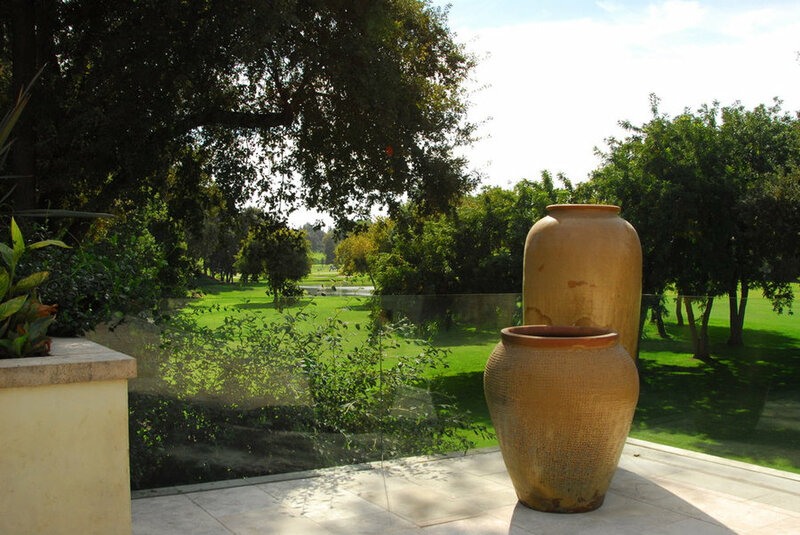 At the rear of the property, a separate spa off the master bedroom, overlooks the bluff and golf course below. At the rear of the property, an infinity edge lap pool forms the edge of the top terrace. The site overlooks the bluff and golf course below. The lawn lounge area looks across the pool and out toward the view. Carved out of the hillside, a new lower terrace was developed below the pool which expands the usable outdoor space. 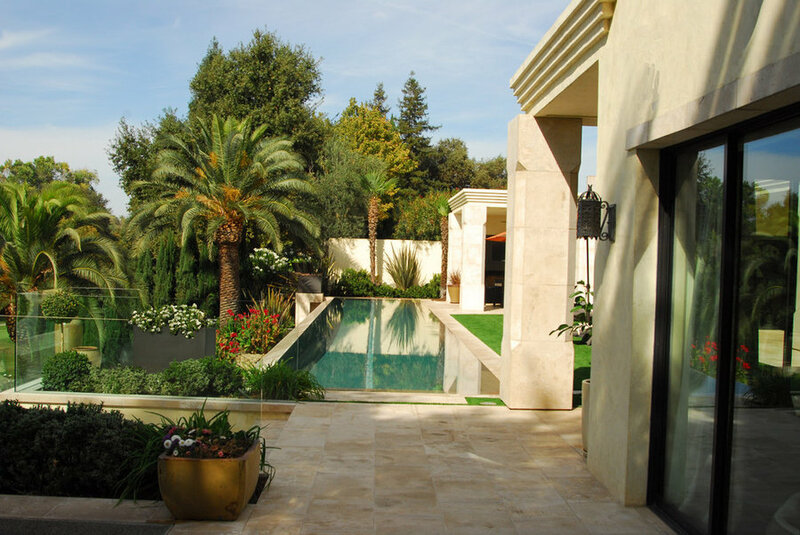 Carved out of the hillside, a new lower terrace was developed below the pool which expands the usable outdoor space. 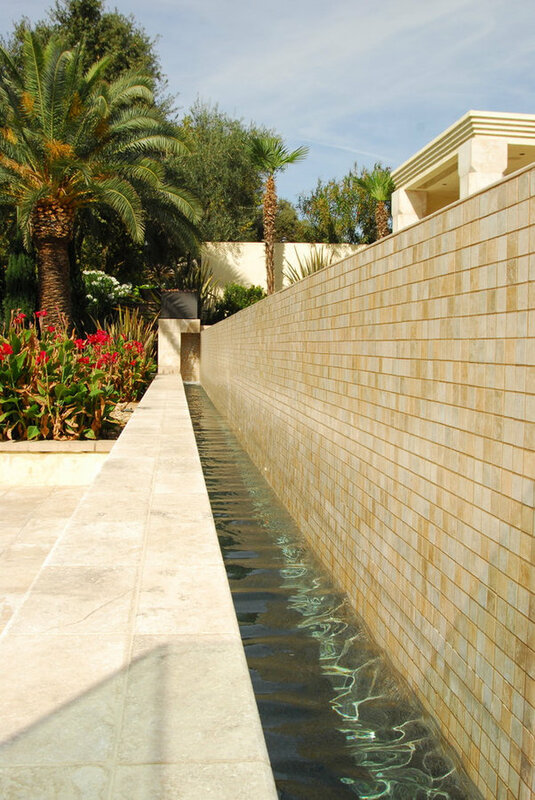 The rear of the infinity edge pool becomes a water wall feature for the lower terrace. 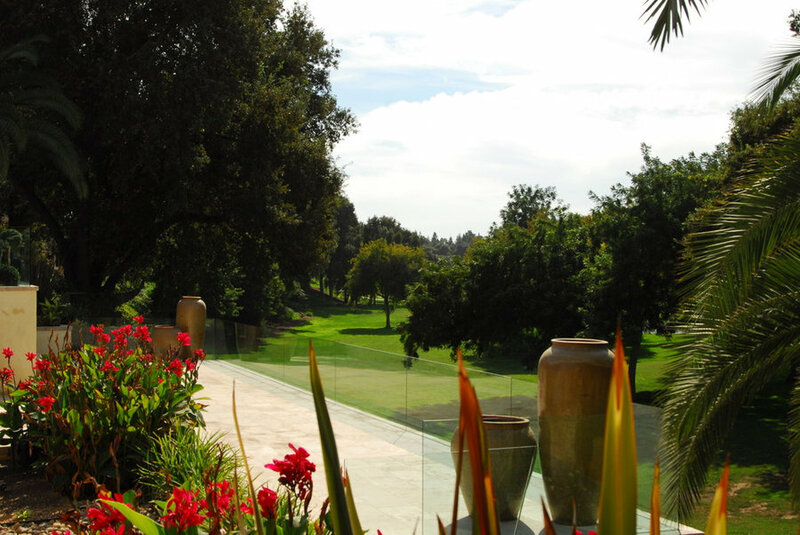 The view across the lower terrace toward the golf course beyond. Vibrant Canna Lillies add color to the landscape.